First of all, thank you so much to everyone who read and commented on my last post. When I wrote it, it felt kind of self indulgent, so it was especially good to read that others feel / have felt the same, and know where I'm coming from. 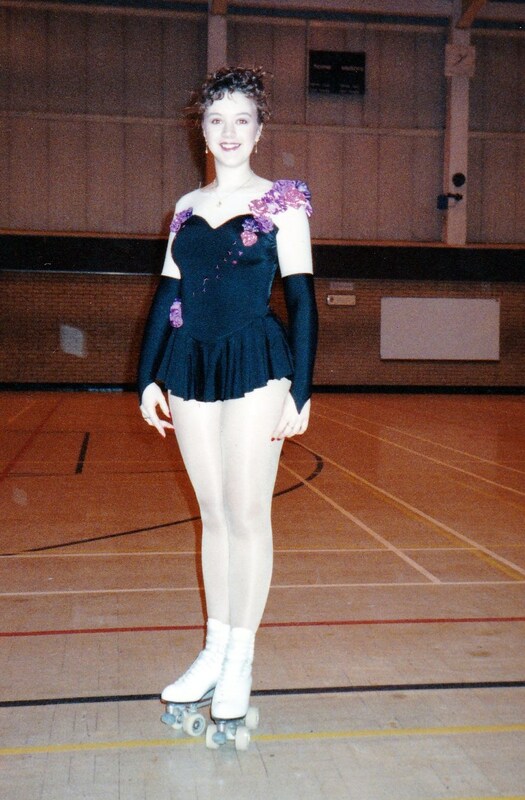 Today I'm going to show you some old photos which might help to illustrate why I'm not scared of sewing with knit fabrics. Or they might just give you a good laugh! When I first started reading sewing blogs I saw post after post about how people were scared of sewing knit / stretch fabrics, and I really couldn't understand why. I'd been sewing with knits for years and never knew you were supposed to be scared of them! 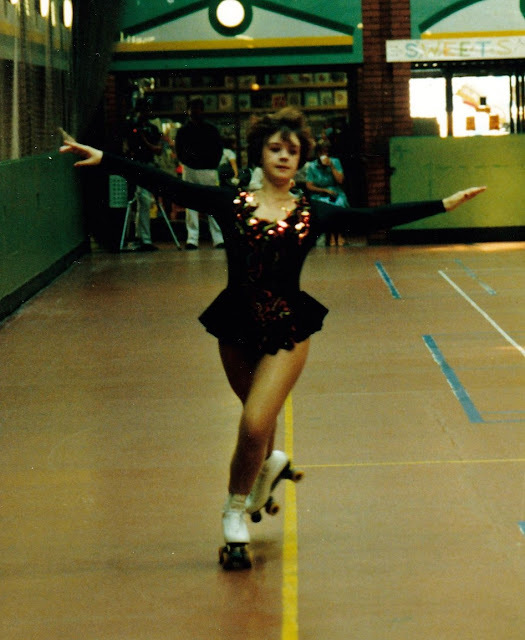 My first experiences of sewing with stretch fabrics came when my sister and I used to do artistic roller skating (think Torvill and Dean on wheels) in our teens. 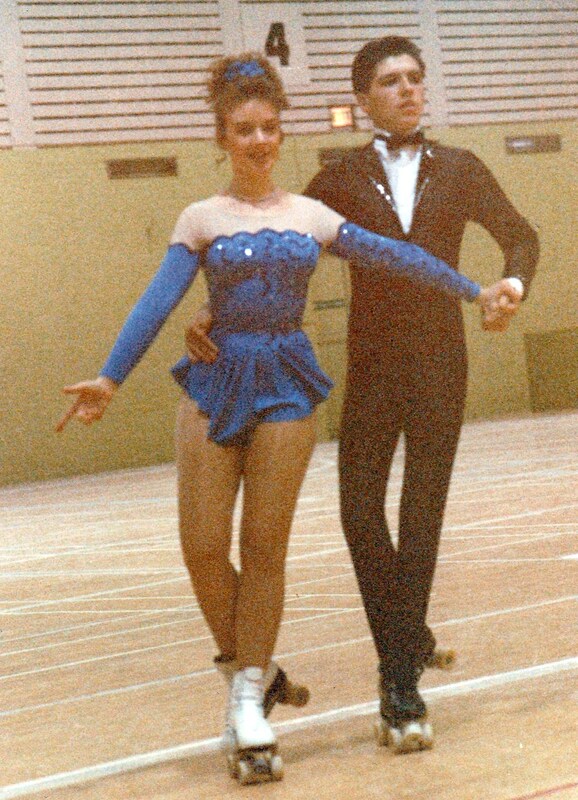 We entered competitions all over the country and of course had to have fancy outfits to compete in. I made most of them, on a standard, quite basic home sewing machine with a zigzag stitch. I'd never even heard of an overlocker. Despite this and the fact that they were incredibly close fitting outfits that were subjected to a lot of movement and stress I never had a single popped seam or stitch. I also sewed hundreds, and sometimes thousands of sequins on them. (I apologise for the poor quality of the photos, they're scans of very old pictures. I had some even better ones with fancier costumes but the quality was just too poor). The first three are me (don't laugh too hard!) and the last couple are my sister and her skating partner.